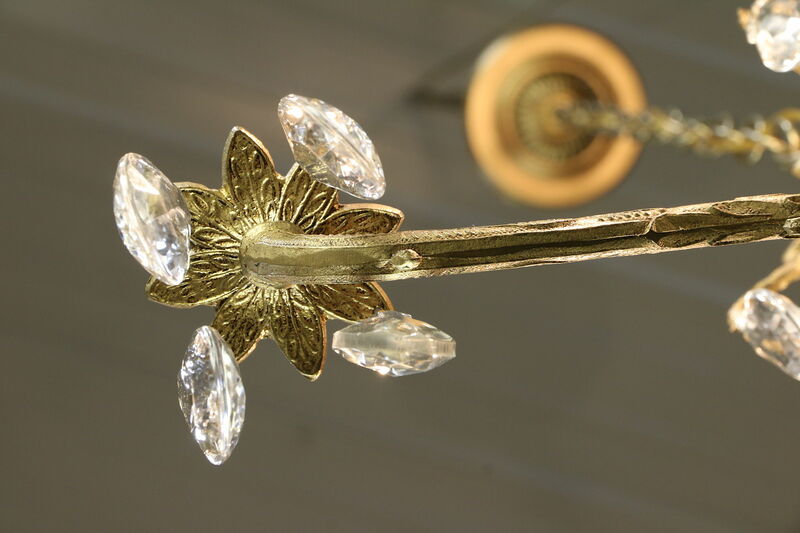 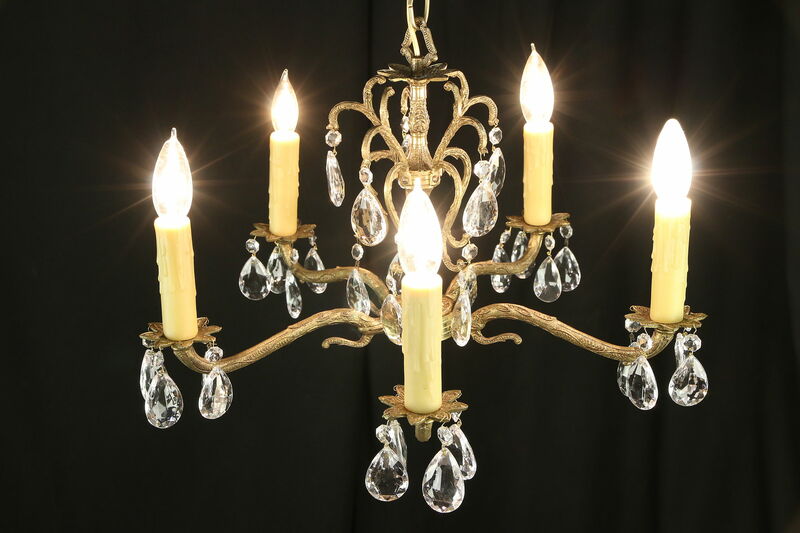 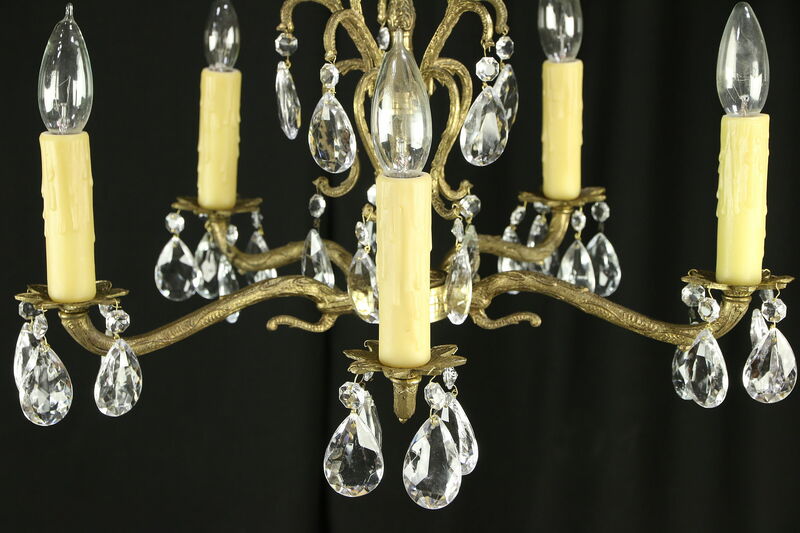 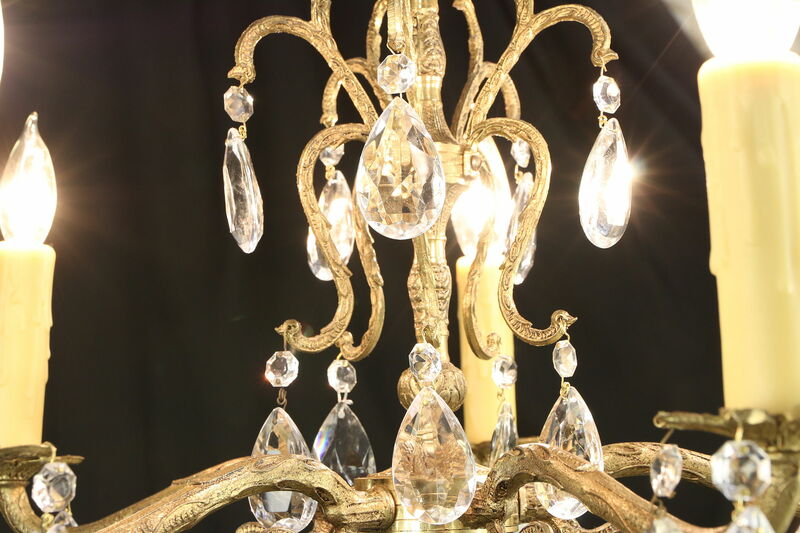 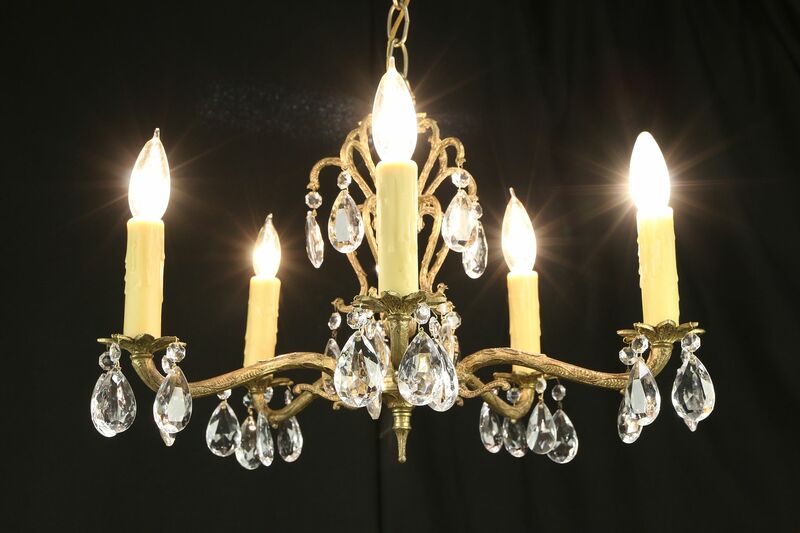 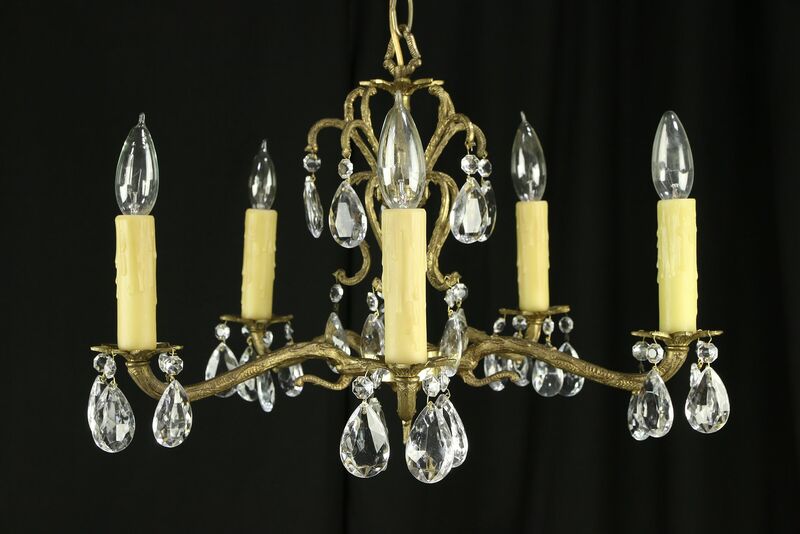 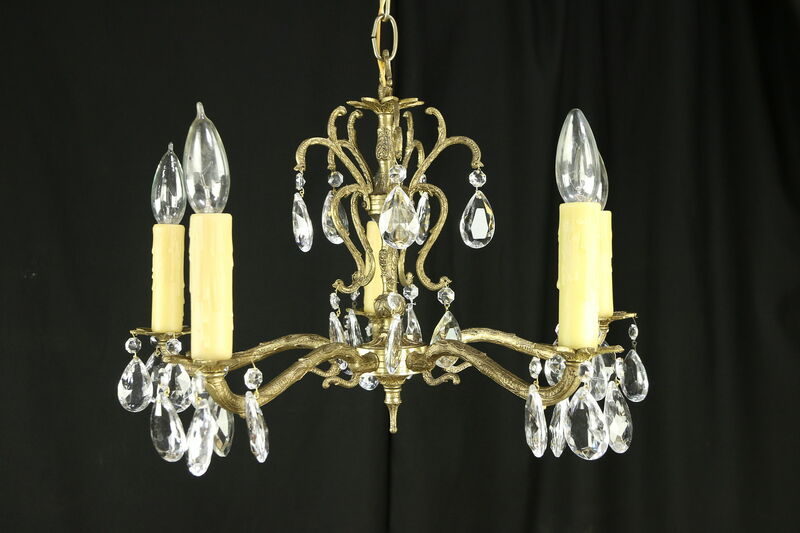 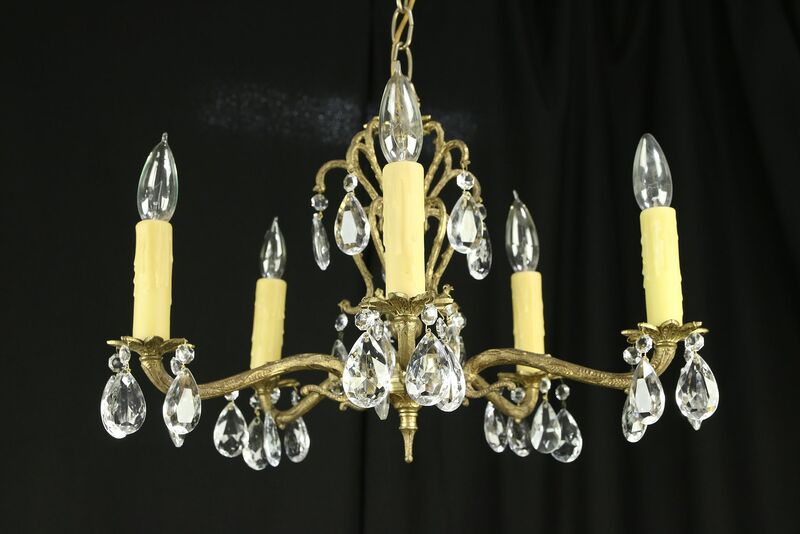 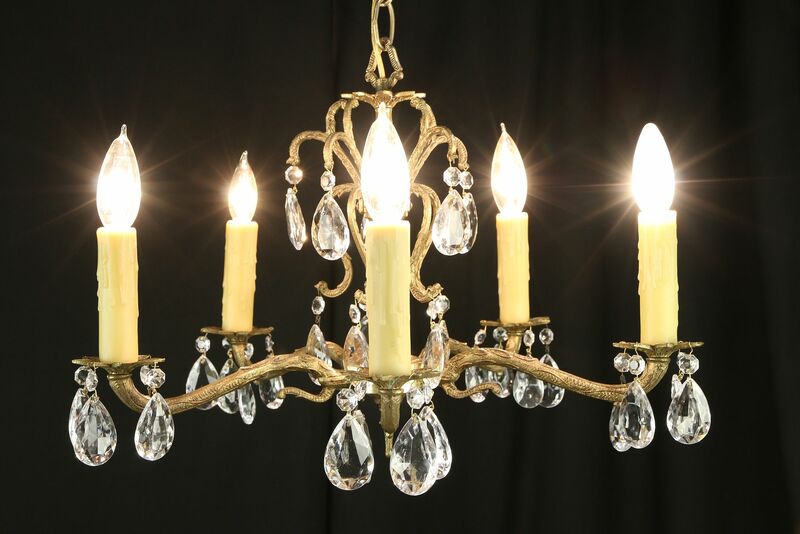 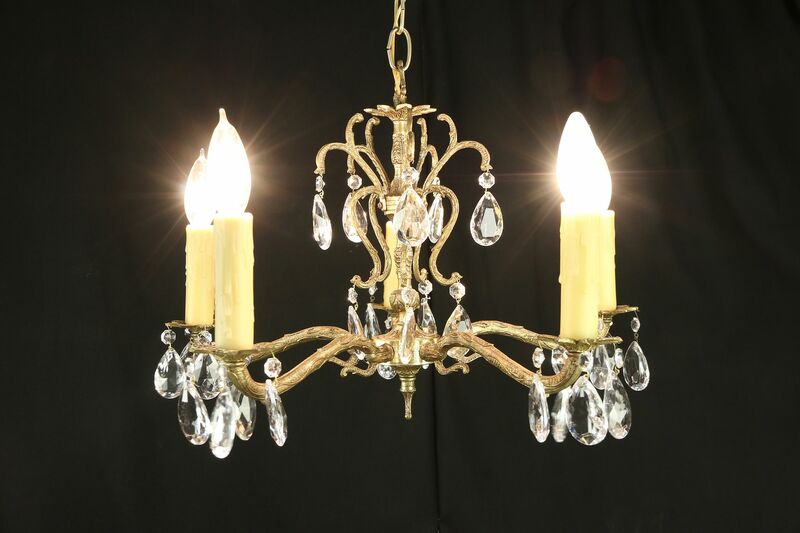 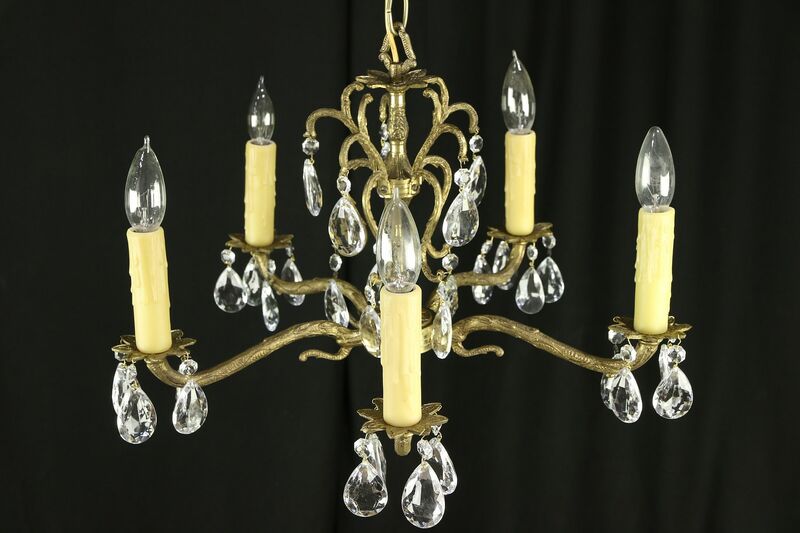 This classic five light chandelier from about 50 years ago is embossed solid cast brass with cut crystal prisms. 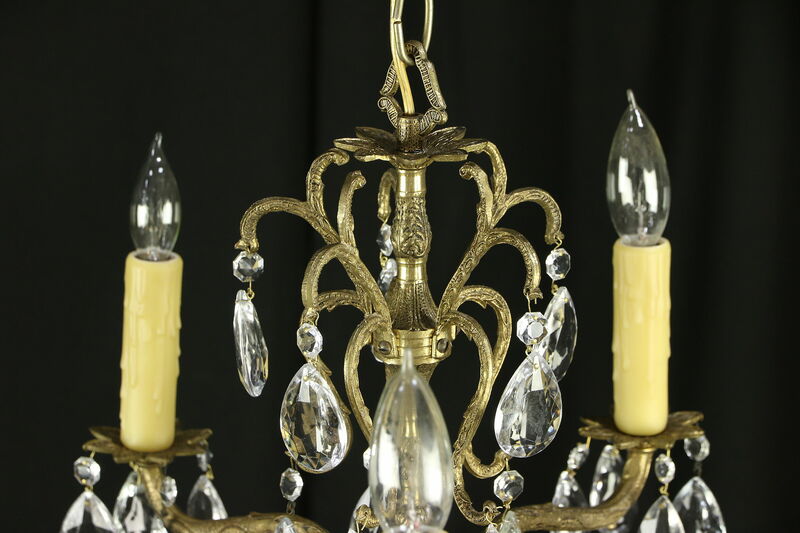 Standard candelabra base sockets have been rewired, bulbs not included. 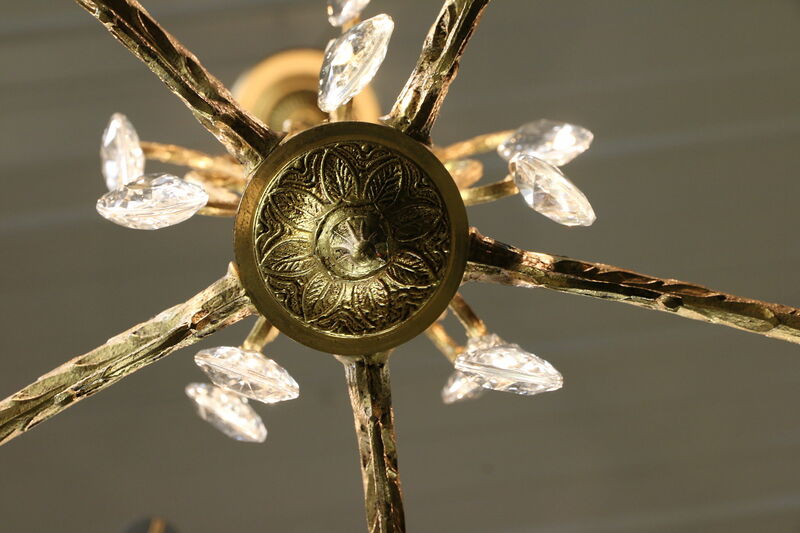 Beeswax drip candle covers are beautiful on this vintage light fixture. 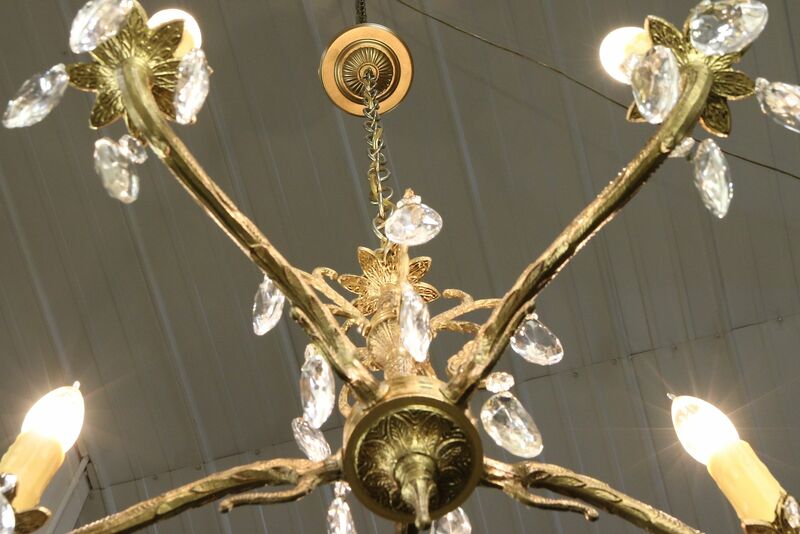 Size is 19" across and 14" tall, not including the adjustable chain and ceiling cap. 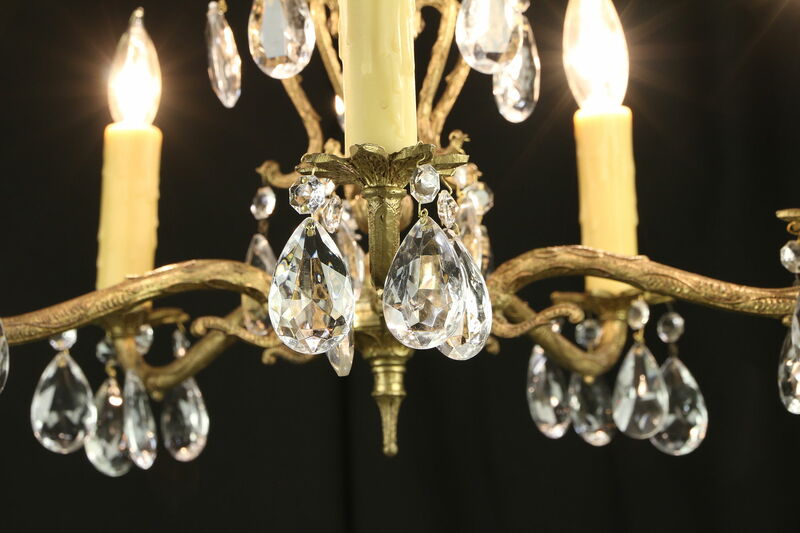 Packing and Shipping is $100 in the US.